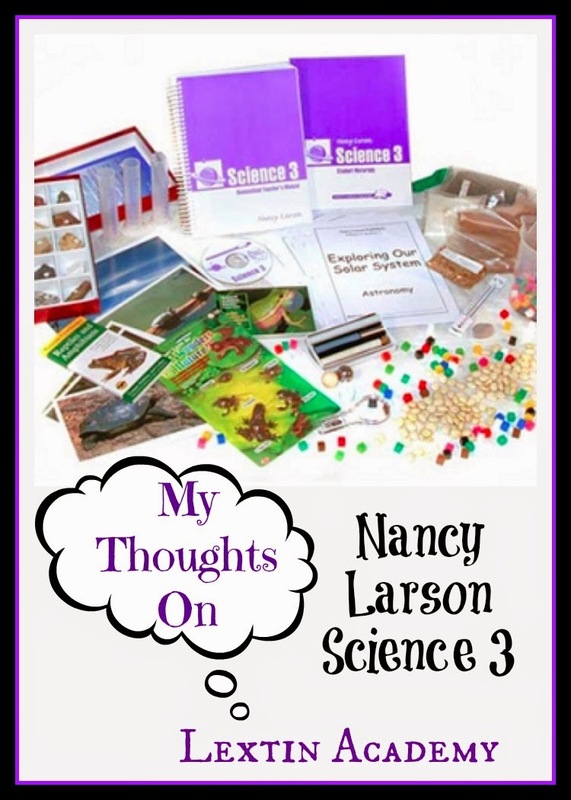 If you read my blog then it’s probably no secret that Nancy Larson Science is one of my favorite curricula finds. 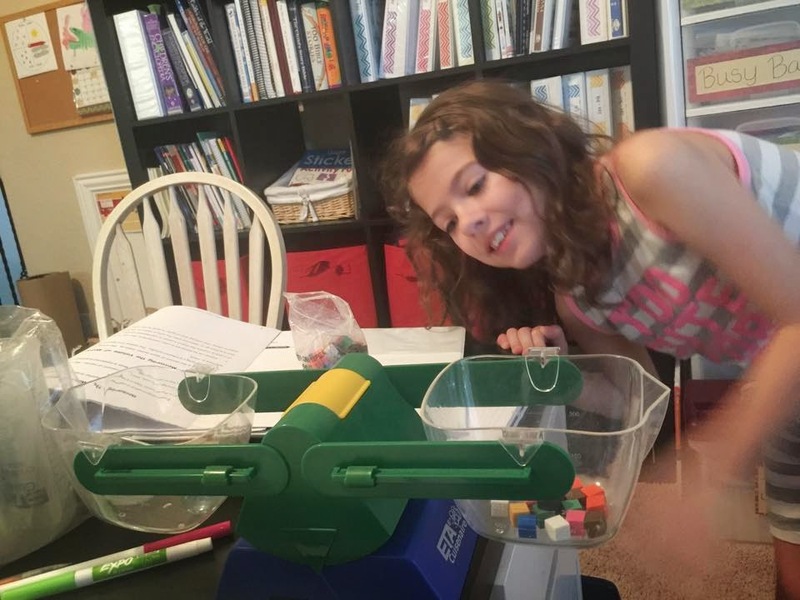 I have a few homeschool products that I absolutely love and this is one of them. This is my science curricula. And I have now used levels K, 1, 2, and 3. Let’s talk about level 3….. This level is Earth and Space science with Chemistry and a short unit on Amphibians and Reptiles. Each unit has its own booklet that contains the text for reading about the material. The child is the illustrator of each of these booklets as he or she draws the pictures, colors the graphs, or labels the diagrams. This level taught us how to write simple lab reports after experiments, such as the experiment to observe chemical change. We also learned how to graph our findings and draw a conclusion based on information contained in a graph. This level also explained how to complete a simple research report as well as how to do a one-variable experiment and observe the results. This level had our first research project. It guided Curly (3rd grade) through the process of writing about one of the planets. She chose Neptune. She used her science booklet and one additional source and wrote a short research paper about it. Then I had her present her project to me. As with previous levels, we enjoyed the hands on observations and experiments that we performed. However, with the first unit about the solar system, there were not many projects or experiments that could be performed. I was thankful for all of the included posters to use as a visual during this part of our study. The chemistry unit may have been one of our favorites. We loved learning about the periodic table and learning about atoms and molecules. It was fun to color the different molecules that made up atoms of common things in our house. This was a great intro to chemistry and sparked a desire to learn more about these topics in the future. Curly was interested in the unit about weather, especially when we described how earthquakes and hurricanes happen. We learned about the scales of how these are measured and we actually spent several days watching videos of these natural disasters. We have lived in an area that is known for tornadoes as well as an area known for hurricanes so this portion of science felt especially relevant to us. I learned the most from the unit about the earth’s surface –how earthquakes occur and how mountains and volcanoes are formed. Our favorite part of this unit was playing with the rocks and minerals in our kit and guessing which type of rock (igneous, sedimentary, or metamorphic) was represented by that sample. My favorite aspect of the program aside from the interactive and hands-on nature of every lesson, is the amount of review that is included. Even though we have completed our studies, I know that most of the material that we covered has been retained because we learned it in an incremental way that included multiple opportunities for review.